Electronic test equipment for telecommunications and electrical engineering. 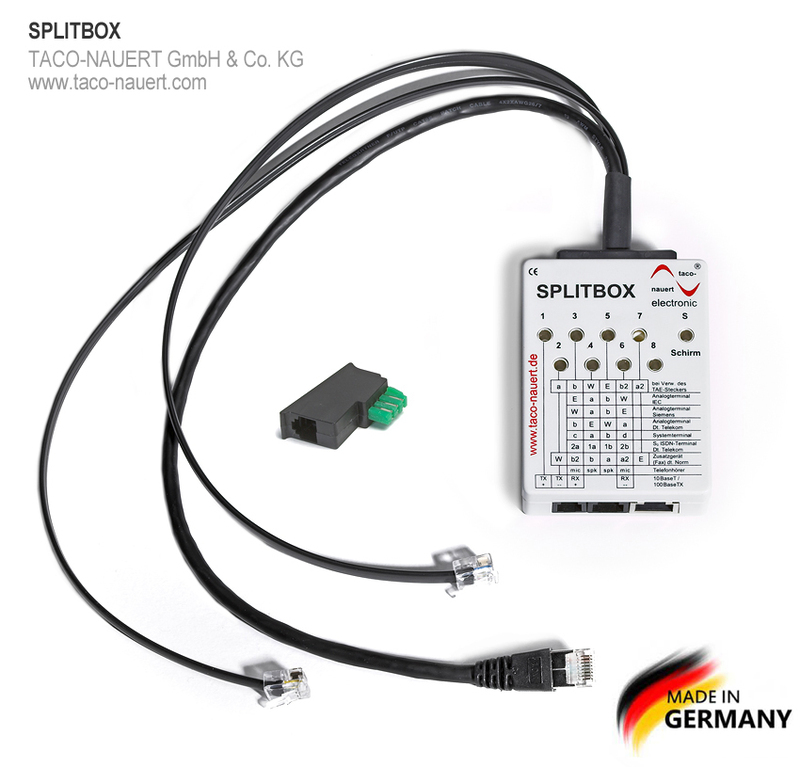 SPLITBOX-01 is used to enable connection to lines and devices with a RJ11, RJ12 or RJ45 plug or jack or TAE jack, so that their contacts can be connected to simple 4-mm jacks. This way, all connections and signals can be forwarded via common test leads with 4-mm banana plugs. The SPLITBOX can also be added to hot connection lines, in order to perform testings and tests of lines in active use. It does not matter if the RJ plugs or RJ jacks are used as inputs or outputs. 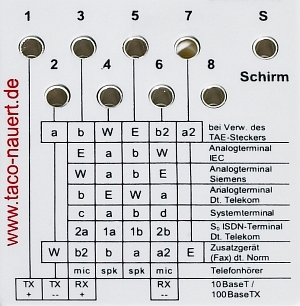 Well suited for connecting TESTOKOM 2/12 signal generator, INTERKOM 718, etc. Delivery includes: general-purpose test adapter, instruction manual. As usual, no responsibility is taken for the correctness of the details provided. The right is reserved to make technical modifications. For additional information, refer to the PDF document. In order to view PDF documents, you need the free Adobe Reader, which you can download here.